I could talk all day about representation in Stardew Valley. In fact, I already have. This game makes some fantastic choices in terms of representation and also some not-so-perfect ones. Positives include being able to date and marry any of the non-married residents of Stardew Valley, regardless of your or their gender, as well as being able to dress in whatever clothing strikes your fancy regardless of gender. Imperfections include binary genders in the character creation screen and the heternormative pre-existing relationships in town. One of few aspects of the game influenced by binary gender selection is the spa, which forces you to go into a men's or women's locker room. 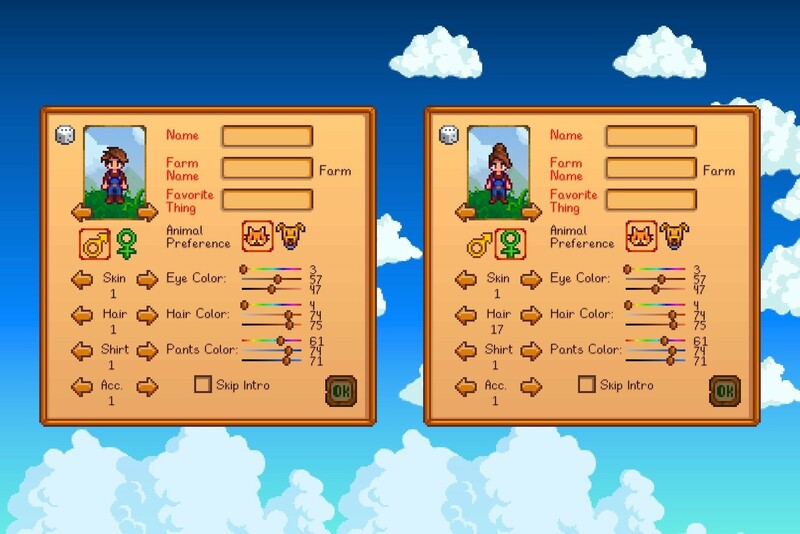 Gender selection also influences the shape of the player-character's boots and the gender language in dialogue, such as "farmer boy" or "farmer girl".